Each first Monday of the month, a doctor will receive you between 19h45 and 22h00 for an information session on medically assisted procreation. Please be informed that this monday 1st of may is a general holiday, therefore the information session will take place on the monday 8th may. This will be also the case for the monday 5th of june, the information session is sheduled for the monday 12th of june. 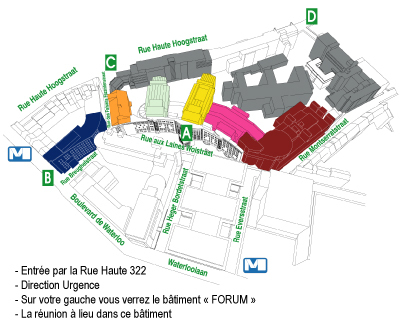 This session takes place at the FORUM of the CHU ST Pierre, rue haute 322, 1000 Brussels and is given in French. The main aim of this session is to detail the different aspects of an in vitro fertilization. If you will initiate a particular parental project (surrogate mother, sperm or oocyte donation…) a private consultation with one of our specialists is more appropriate. It is indeed not possible to discuss in detail the particularities of these treatments in a general information session.